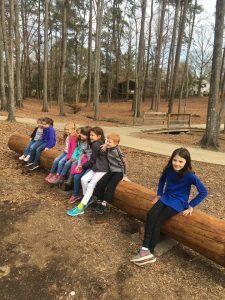 Check out the new seating that is at the Community Park of Irmo. It was made from a tree that had died at the park. Great job to the hard working men of the Irmo Public Services Department! A recycled element was added to the Irmo Community Park. The Town of Irmo participates in a bulk Item collection program with Tyler Sanitation. As a reminder this program requires the homeowner to schedule this monthly collection by calling Tyler Sanitation at (803) 626-9000. Pick-ups will occur during the first week of each month on either Monday and/or Tuesday. There is no charge to the homeowner providing they follow the rules and properly schedule their pick-up. Only two items per residence can be scheduled for pick-up in any one month period. Residents desiring to have additional items collected will be required to coordinate directly with Tyler Sanitation and pay $25 for each item to be collected. Do Not place bulk items at the curb until your scheduled week arrives. Bulk Items placed at the curb without a scheduled pick-up will be abated and the owner will have 10 days to remove the item from the street. January pick-up has been completed and the next scheduled week for bulk item collection will be February 4th. NOTE: Contractor material “IS NOT” part of the bulk item collection program and is the responsibility of the owner to have removed at their expense. 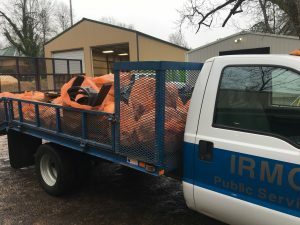 The Town of Irmo changed garbage contractors last year due to some deficiencies with the service provider at the time. The Town solicited bids and Tyler Sanitation was the low responsive bidder and was awarded a 3-year contract to provide solid waste and recycling service for town residents beginning July 1, 2017. The first big change after firing the previous contractor was ensuring that town residents garbage was disposed of at the proper county landfill. 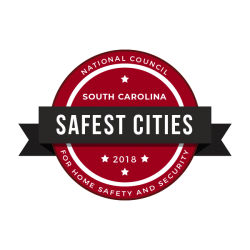 As many of you know the Town of Irmo straddles both Richland and Lexington Counties. What may not be known is that Richland County charges a fee to dump at their landfills and Lexington County does not. Therefore Richland residents of the Town were assessed an additional $18.00 per year to cover the “tipping” fee. Beginning January 2018 Richland residents were charged $198.00 and Lexington residents $180.00 per year to pay for the service. With the new service provider came an increase to the Town that went from $15.00 to $18.92 per home, per month. The Town Council decided not to immediately pass the increase on to the residents. They voted unanimously to absorb the increase for the first year (approximately $400,000) and pass on the increase in two installments over a 3-year period. The first $30.00 annual increase would be January 2019 (show up on tax bills issued by each County starting in October 2018), and the second $30.00 annual increase to take effect January 2020 (again, tax bills issued October 2019). Additional increases recently approved by Council are added to the single line provided by each county for municipal service charges. They add up to $15.50 a year and will be displayed on either the 2019 or 2020 tax bill (depending on the County of origin). These annual fees are: $8.00 for Stormwater Management; $4.00 for Recycling Increases; and $3.50 for Solid Waste Management / Administrative support. Hope this brief overview is helpful and answers any questions that most of our citizens have. If you would like additional information, I can be reached at (803) 781-7050.